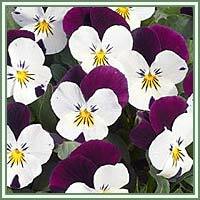 Description: Heartsease is an annual or short lived perennial plant, of creeping habit, grows up to 15cm. Flowering occurs from April until September. Flowers are different in color: blue, yellow, purple or white. Habitat: Acid or neutral soils, usually in partial shade. Native to Europe, widely spread in North America. Medicinal use: It is considered as a “blood purifier”, and therefore associated with treatment of all sorts of skin problems (acne, eczema, dermatitis, psoriasis, itching). Due to its expectorant properties, it is recognized as helpful in treatment of bronchitis, asthma and whooping cough. It is also a good diuretic, and therefore advisable in treatment of arthritis and rheumatism. Due to salicylic acids, the plant has anti-inflammatory properties. Chinese healers use the plant to soften certain tumors (breast cancer, lung and gastrointestinal cancers). 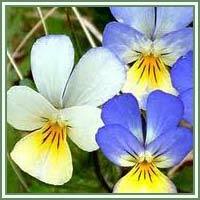 Heartsease has also shown to be very helpful in lowering the blood pressure and reduction of painful urination. Safety: Plant shouldn’t be used in excessive amounts. Large doses can cause nausea, vomiting and skin irritation. Also, it shouldn’t be used with prescribed diuretics and asthma medications. Some herbs could react with certain medication. Therefore, it is advisable to consult your doctor before consumption of any herb.